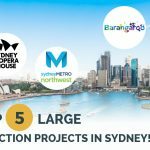 25 Oct Top Labour Hire Talent in Sydney This Month : Jan Rakeseder! Top HLH Labour Hire Employee! 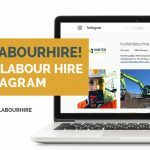 Hunter Labour Hire have had the pleasure of working with some highly talented and hardworking individuals over the past few years. 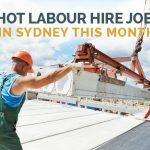 Some of these employees have been with Hunter Labour Hire for close to two years and some of the newer team members have only joined us in recent months. 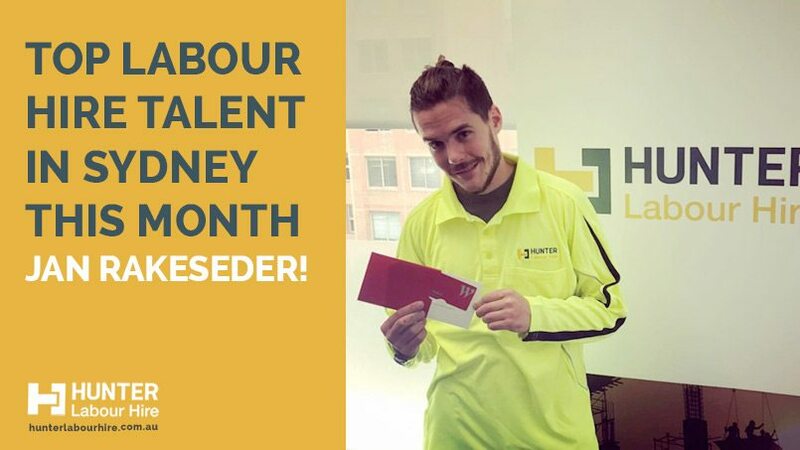 This week’s blog is showcasing one of our top talented workers, what he has done for Hunter Labour Hire and what he does in his spare time. Jan became part of the Hunter Labour Hire crew back in June 2016 and was out working 2 days later. Jan is a qualified carpenter from Switzerland and has worked on a variety of jobs for us utilizing his extensive skill set. Initially Jan started out as a carpenter’s assistant installing built in wardrobes but Jan’s hard-working ethics and pleasant attitude quickly made him every site supervisors dream. His reliability and time keeping speaks for its self (none of the typical labour hire excuses here! ), site supervisors are always impressed with his get up and go and the fact that he is multi-skilled in various aspects of construction. Since then Jan has gone on to work as general labourer helping a landscape company on a number of projects all around Sydney. Jan has also turned his hand to nighttime demolition work and his latest job was putting his carpentry skills to good use in the Sheraton hotel in Sydney. We look forward to work with Jan on projects in the future. Jan in his spare time is an avid photographer and you can find some of his work here! Does your company need some top talent construction workers like Jan? 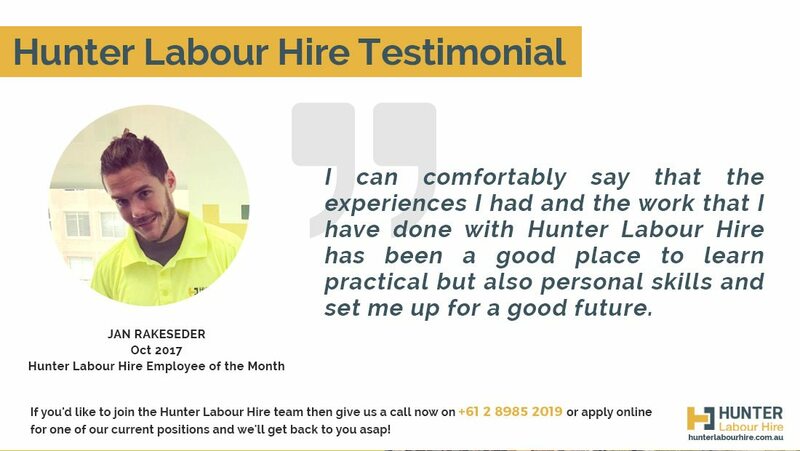 Give the office a call today on 02-89852019, email info@hunterlabourhire.com.au or contact us online for a schedule of our rates and to discuss your specific requirements.